where is your evidence of anything you are saying? Where is the incontrovertible physics, validated data, clear math that disproves or calls into the question the trends? I would like to see this physics that greatly disputes all the physics not only displayed here at RC, NASA and AOS, but in countless labs and universities around the world. While we are on this subject, what about all the chemistry that makes these greenhouse gases exhibit their properties in the first place? Is all that flawed data, for over 150 years of observations and experiments? Do not confuse coal with nuclear. Read “Power to Save the World; The Truth About Nuclear Energy” by Gwyneth Cravens, 2007. This book is easy enough for everybody to read. I suggest you read it. Coal is the problem. Nuclear is the answer. Nuclear is now the safest, cleanest, cheapest and most full time source of electricity. Of the full time sources, it also has the largest potential supply. Nuclear fuel is recyclable. Nuclear power is THE answer to global warming because it produces LESS CO2 per kilowatt hour than ANY other source of energy. J bob who is saying that humans are 100% responsible for all the changing weather patterns over the last few decades? No serious scientist is saying this, nor are the majority of bloggers here, if any at all. Weather and climate are first of all, not the same thing. Also, no one (who is qualified) disputes that there is natural variability or areas of prediction exist that need improvement. What is clear is the net global warming trend driven by the physical properties of greenhouse gases emitted by humans. I was going to do a post on D’Aleo’s response to Gavin’s writeup, but after reading through it I decided it was hardly worth it. The full extent of the work is to show that a UHI effect exists and that it is a significant cause of the “observed” warming. There is no reputable work that can attribute half of the warming since 1990 or any other period to the UHI effect, as he thinks. This effect is absent in the oceans, rural areas, and polar areas. It ignores sea level rise, substantial glacier loss, and various “fingerprints” of greenhouse warming. D’Aleo insists the PDO, AMO, ENSO etc all correlate with global warming better than CO2…this may often be true if those diagnostics are essentially a correlation of themself. None of these things can cause a decadal-scale, global-scale warming trend that has been observed…either by definition or by its physical properties. I remember seeing on Dobbs show a few years ago – he had on two IPCC-related scientists (maybe somebody from this site?). He started with this: ‘On my show, global warming is happening and we are causing it. That’s not for debate. I want to hear what we should do about it’. These scientists were taken by surprise. They were used to countering global cooling. No skeptics or deniers were included. So as Gavin pointed out, this is not normal for Dobbs. Let’s hope it’s temporary. Eric: Interesting (re: Antarctic data problems). I will read your paper when I have time. #62 – Jim – Thank you for a moderate response. While I agree that models are essential, some of the claims that people are making don’t have strong evidence to support them. Now there is some aspects of global warming or man made induced climate change that I will defend. Ecosystems are one good example and another could be the destruction of soil in various parts of the world. Both of these can effect climate to one degree or another. There is solid evidence supporting this. You map them both together and you start drawing a small picture. There is a few other things that can be added to this list and picture. However, some are trying to draw this picture faster then what the evidence allows. People are not looking at the problem coolly and dispassionately. One side sees cash signs and red ink, the other side sees the end of mankind. This is clouding the judgment on both sides of this issue. There is so much disinformation coming out of both sides it’s hard to find the actual ground. Models are something like ciphers in cryptography. I don’t know how familiar you are with the field, but back when 128 bit keys were first being deployed, mathematicians were jumping all over themselves explaining how it would take all the computers in the world longer then the universe has been in existence to break a key. They were correct only if there is no better way to factor numbers. Of course we are now on 2048 and 4096 bit keys because so many attacks against the ciphers have been successful. The point is, models are subject to change unless proven to be true. Just a educational note, there is only one cipher in existence (“that I’m aware of”) that has a mathematical proof behind it showing it to be secure and that is the one time pad cipher. There is also no mathematical proof showing if public key cryptography is possible. IE: The existence of one way functions. It’s kind of unsettling if you think about it, if their not possible then it could lead to an end to certain aspects of communication. Ahhh… no more need be said. jcbmack: I agree with the theory that greenhouse gases cause warming by absorbing terrestrial radiation – life as we know it on Earth could not exist without it. I’m more concerned with the politicization of the issue. However, I also think there is very basic evidence staring us in the face that indicates that it may be a relatively small part of the story. Not only do the data suggest that the solar cycles control the temperature pattern to a far greater degree than CO2, but there are many additional anthropogenic impacts on climate, not the least of which is landscape change. I also question surface temperature data quality, and feel that much will be revealed by the current minor cooling trend, as we pore over the data during the next decade or so. There is a focus on the negative when it comes to the impact on CO2, and any questioning is treated with contempt, ridicule and outrage. I feel that many important advances are being made in climate modelling thanks to funding that has been secured by all the attention, but the greenhouse gas aspect is something that we have known about it since the late 1800’s. Attention could be given elsewhere (for one, there are bigger environmental problems in the world – heck, we’ve caused the 6th great mass extinction with our land-use and pollution). I guess this whole greenhouse gas problem just doesn’t excite me as much as the rest of you here and I get irritated by all the hype when I perceive there to be so many uncertainties and so much focus on the negative. I mean, think about it. CO2 concentrations, which improve plant growth in most species, as well as increasing water and nitrogen-use efficiency under a given climate, have increased from 280 to 385 ppm over the past couple of centuries, and temperature has barely budged. I think the last month was 0.17 C above the 1979-2000 average and microscopically below average in the southern hemisphere. With the same climate, I would pick the higher CO2 concentration. Having done some modelling myself, I also have the same skepticism about the modelling process that most of you have also likely grown to appreciate. We all know that one can obtain a perfect model output by tweaking all the wrong parameters and variables (but eventually get rude surprises – how many models predicted our current cooling trend – okay, I know… it’s mainly La Nina… I digress). All the talk about ‘certainty,’ in addition to the policy statements and attention to the most vocal doomsday scientists is what really irks me. Maybe I’m just jealous of my colleagues getting soundbytes every day for all the climate change crap I understand as they do (but don’t fully accept), yet continuously am forced to regurgitate to my students. As a left-leaning, tree-hugging, vegetarian atheist who walks to work to limit my pollution footprint (not too concerned about the carbon, as you can see), and as someone who devoted my entire academic career to the environmental sciences because of my love of nature, maybe I’m frustrated by my complete inability to accept that we have a good grasp on climate modelling and the impact of greenhouse gases. It doesn’t look good on me (if I ever express a lack of enthusiasm for the cause, I am shunned by my peers), but I guess I myself am the dreaded ‘AGW-climate skeptic.’ Maybe one day I’ll stop being anonymous about it. Mike #70. Free exchange of ideas but they aren’t exchanging ideas. They’re leaving out the FACT they are lying. As I said, Fox News won by saying they didn’t have to tell the truth. So why bother with Fox NEWS at all? If it doesn’t have to be truth, how can it be news? If Freedom Of Speech allows you to lie, why are there Libel laws in the US? They are extensively used there. How about profanity laws (Eric Idle being fined for swearing, for example)? Heck, how about yelling “Fire!” in a theatre? That’s pure speech and you are lying, but apparently FOS beats lying out cold. Re #100, You have a remarkably optimisitic outlook and that is a good thing, however the UK is scheduling 600 additional flights per day come 2020 when the third runway is added to Heathrow Airport, this is the real issue, the one of prosperity and progress and economic conditions right for it. Couple that with all of the additional electronic equipment that resides in homes over the past 20 years including mobile phones, ipods, docking stations, DAB radios, flat TV’s, laptops, PDA’s and PC’s and it all comes down to a lot of additional electricity being used. We are going to need a big change of lifestyle but I am doubtful that will happen as you are doign because you are a rare person, one who cares about doing somerthing about it. Since James Hansen testified in 1988 to congress nothing has been done as yet. Lets hope that the world can get it together or create the conditions so that individuals can as you have. Still its a big ask as most people ar not even aware of the problem or do not believe there is one. Ah, but Boris, you’re neglecting the lost city of Atlantis and all the other oceanic urban development the tin-hat crowd believes in. You must be part of that scientific conspiracy we’ve all heard about. I am increasingly convinced that solar activity is more important than vocal, mainstream ecoscientists have led themselves to believe. Cooling has been occurring for over seven years. All this stuff about Medieval warmth reminds me, I found a site dedicated to the proposition that there is a politically correct conspiracy to suppress the undeniable fact that it was warmer in medieval times. To prove how thoroughly this fact was suppressed they produce a whole lot of papers (some suppression job: all those papers got published somehow). Sure enough the results they quote all show warming sometimes up to 2°C. The trouble is the dates don’t line up. The warm periods are anything from 500 years ago to over 1,000 years ago, and most have a sharp peak. All that these things demonstrate collectively, with no deeper analysis, is that if you have a long-term temperature record of any one place, it could have an unusually hot or unusually cold spell at some point. Whether there’s any global phenomenon is not demonstrated at all by their data. J Bob: It’s true that some climate scientists get annoyed with repeated attacks on their reputation, and repetitions of obvious falsehoods. Who wouldn’t? It’s unfortunate when this happens but there’s a limit to human endurance when you are constantly under attack. I suggest you read the writings on some of the anti-climate science side for raw unprovoked ad hominem attacks. I’ve seen labels like warmaholics (is this even a word? ), junk science, religion – and the assertion that their side were “rationalists” as opposed to “alarmists”. And this is in stuff that’s meant to be carefully crafted material aimed at informing the public, not off the cuff remarks on a blog, where there is a little more excuse for being loose with language. I challenge you to find this sort of language in a scientific paper or an article written for a mass circulation newspaper or magazine by a climate scientist. It’s dead easy to find this stuff in newspapers like The Australian and papers published by the likes of Bob Carter. Hansen is a climatologist with a physics degree. He started out analyzing the atmosphere of Venus. Nuclear is now the safest, cleanest, cheapest and most full time source of electricity. Cleaner than windmills? How did it manage that? Of the full time sources, it also has the largest potential supply. Does it have the largest supply practically available with foreseeable technology? Windmills and solar thermal plants don’t even need fuel. Nuclear power is THE answer to global warming because it produces LESS CO2 per kilowatt hour than ANY other source of energy. Prove it. Cite a source and give a quantitative comparison. Explain your methods. I regressed temperature anomalies from 1880 to 2007 (N = 128) on ln CO2 and TSI. CO2 accounted for 76% of the variance and TSI was insignificant. How does that square with “the solar cycles control the temperature pattern to a far greater degree than CO2?” Greater measured HOW? CO2 concentrations, which improve plant growth in most species, as well as increasing water and nitrogen-use efficiency under a given climate, have increased from 280 to 385 ppm over the past couple of centuries, and temperature has barely budged. I think the last month was 0.17 C above the 1979-2000 average and microscopically below average in the southern hemisphere. You have claimed to be a scientist. Would any scientist in the real world claim that you could analyze a trend by drawing a line from the starting point of a graph of points to the end point? Didn’t you take ANY data analysis courses? What are you doing citing one month of data as if it were representative when you have over 1,500 months worth of data to work with? Do you understand what I mean above when I say I “regressed” one time series on two others? If you’re a scientist, kindly say what science you have a degree in, and where and when you got that degree. Because I don’t believe you. hmm, interesting theories: that climate change might be caused by the sun, volcanoes, the orbit of our precious planet etc and not the build up of greenhouse gases in the atmosphere as emitted as a consequence of human activity. i think the best way to test these compelling hypotheses, or any hypothesis, is to remove as many variables as possible. we can’t make the sun dimmer or cooler, we can’t change our planet’s orbit and we can’t stop volcanoes erupting, so we can’t control those variables. the only one we can really control is emission of greenhouse gases. we’ve already added them and seen a rise in temperature, so to disprove that our emission of greenhouse gases is to blame for the rise and to what extent, we need to remove them as a variable and test the result. a quick note to all of you out there who think that the culture of science is a bit tough: if it was easy bad ideas would hang around, no progress would be made. and anyway, this is nothing compared to the world of architecture! but in this debate the stakes are MUCH higher. The public discussion of climate change certainly suffers of a dual meaning of the word “climate”. In the olden days, “climate” was mostly a statistical description of prevailing weather conditions relevant to a locality or a small region. To get information on it, “climate stations” were installed and climatological departments within meteorological institutions performed the statistical computations. The main customers were farmers who needed to decide upon critical business parameters (as ably described above i.e. by Aaron Lewis). In practice, “climatology” was a smaller (and less appreciated) branch than forecasting meteorology, with minimal budgets and the lowest cost metering. Of some importance is also that in the U.S. the “climate stations” are managed at the state level (not the federal level), resulting in a quite variable performance as has been documented. Technical standards vary, as do the network structures. In other countries I know of, climatological stations are managed centrally, as the lowest priority in the observation networks. This results in a more uniform performance. Everywhere synoptic stations (3 hour observation cycle) and aviation weather stations (30 minute cycle) were prioritized as their performance (accuracy) was crucial for the operational weather forecasting routines. They also received the bulk of investment and maintenance attention. These stations also contribute quite substantially to the climate files and in the third world countries remain the back-bone of climatology. The urban heat island (UHI) effect has been known for 40 years now. It has been studied using at least two techniques: comparisons against rural stations and comparisons between high and low wind situations. High winds result in low local heating effect. Corrections are applied based on these results. In the same olden times, global climate research (as understood today) was one somewhat obscure field of geophysics, like geodesy, tectonics, geomagnetism, etc. It was a rather academic endeavour, an effort to understand the atmosphere (+ biosphere and oceans) in terms of physical laws and processes. This has grown enormously in importance and visibility over the past 20 years. Today there is a permanent confusion between the two different aspects. 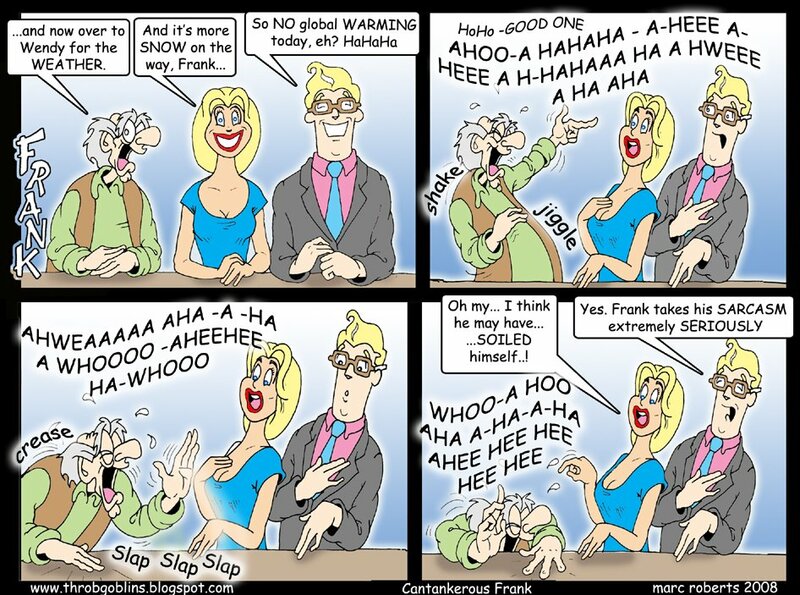 Great many meteorologists (and the general public) still consider “climate” in the statistical sense only. The approaches have a relationship, of course. Validation of the physical models is ultimately to be found in the statistics. Impatient people al too often expect statistics for 2008 to validate (even to equal) projections for 2080. Unfortunately the final numbers will be too late for meaningful action. If you look at the economics of nuclear energy then what strikes me is the large gap between estimated cost and true cost for building a nuclear plant. A 2005 OECD comparative study showed that [….] Nuclear overnight construction costs ranged from US$ 1000/kW in Czech Republic to $2500/kW in Japan, and averaged $1500/kW. In March 2008 Progress Energy announced that its two new Westinghouse AP1000 units on a greenfield site in Florida would cost it about $14 billion, including land, plant components, cooling towers, financing costs, licence application, regulatory fees, initial fuel for two units, owner’s costs, insurance and taxes, escalation and contingencies. Capital costs are the biggest factor, and when you redo the calculations based on true costs, nuclear suddenly isn’t all that cheap anymore. When such a big gap exists between the estimated and true building costs, then I suspect an equal gap is present for the cost of operation, uranium enrichment, waste processing, decomissioning. I haven’t read the Gwyneth Cravens book, but I have a general rule that when a book has ‘truth’ in the title, then that is probably for making up for the lack of it in its contents. I only trust the costs expressed in tangible fixed-price contracts. Some people on this blog are going off about the difference between climate and weather, as if others are a bunch of idiots. So what is the difference in scientific terms and is there scientific consensus on this? The WUWT site has a recent post which discusses the effects, particularly wrt to the 30 year trend, of Pinatubo (1991) and El Chichon (1982). I was wondering if it’s possible to model the trend (or temp record) with the the volcanic effects removed. I know that NASA claims to have successfully modelled the Pinatubo cooling, so presumably this would be relatively straightforward. Any model would need to include the effects of the very intense El Nino in 1982/83 and the moderate El Ninos in 1991/92 and 1993. Rod B2: ~30 years and yes, there are reasons for picking that length of time, principally that observation and modeling has shown that the random variability inherent to weather averages out over such a period. I suppose you get your nuclear physics from the NY Times. Gavin: How much credibility can you have on anything, repeat, anything when you don’t know the difference between its and it’s ? Oh, wait. . . you did have that disclaimer about this being a “rush transcript”. I found the physicist Iulo’s contribution (#29) helpful. I’m a relative newcomer to this subject and am trying to build up a picture of what’s going on. I’d bet that Iulo, like myself, just wants to get at the truth. Neither of us is in the pay of Exxon. You may not like his saying that physicists are the people who understand this, but (I am not a physicist) I find this plausible. I first became interested in the politicisation of science through the debate on passive smoking and I see many parallels in the comments here. I admire you for publishing all comments – critical or supportive. This is the only way forward although might be tempted to indulge in a bit of censorship. Not so doing is where you do differentiate yourselves from the anti-tobacco propaganda organisations and I hope you continue in the same way. I ran across this post on another message board but don’t know how to refute it. Can anyone help? 1) the measurements do not reflect the transport of CO2 into and out of the ice cores. Do not give me this crap about ice not being permeable — it just isn’t true. It also doesn’t account for any freeze-thaw cycles or sub-surface water flow. Basically, the history associated with the ice core is not correctly reflected in the calculations. Correct history would require in-depth modeling of thermal and flow conditions — not something that the “climate scientists” are in any way trained to do correctly (I’ve learned this first-hand was well). That thermal/flow model should have multiple sources of independent data to feed into it as well, in order to properly “history-match” the ice core in question. I doubt that a history matched would be “unique” anyway — so basically the true solution to the historical CO2 levels based on even well-modeled data would likely not be the right solution. > the dates don’t line up. Have you noticed that any pack of people who get together because they’re all opposed to science can happily entertain more than one mutually incompatible explanation for observed facts? Not just more than one total; more than one per person, quite often. That’s the bot pattern: throw any excuse into the attempts to explain science as a distraction. They don’t care about making sense, they don’t care about any one explanation being right — what they’re doing is increasing the noise level in any conversation they find going on where someone is at risk of being educated to the point of deciding there’s really something to be concerned about. 118 – This is all fine and well but here is the problem. The evidence around this is very sketchy and some people are contemplating doing extreme measures based on very weak science. I’ve heard reports on ideas such as engineering the atmosphere. There was a guy the other day on the news with a patent on a method to pump h20 into the atmosphere in large quantities. While his idea may or may not be even doable, the problem is scientist are also playing with this notion. There is one company having a contest for who can solve global warming, IE: atmosphere engineering. They are creating solutions to problems that they don’t fully understand and it’s very dangerous. They have no clue where the equilibriums are or anything else for that matter. There is so much about this planet that science has absolutely no data on and yet they claim they know exactly what is going on with climate. They are so sure of themselves that they are tripping over each other to play with technology that can have severe consequences. Much of their claims are all centered around ice core data. These experiments aren’t as sound as they are making them out to be. There is all kinds of bacteria that lives in these areas that scientist know next to nothing about. This alone opens up a whole can of worms when it comes to interpreting data from these locations. Instead of trying to do a whole lot of research into what the effects of their existence is for the ice core data, they instead simply attack the reports with ideas that are contrary to many observations. Barton Paul Levenson (the writer? ): My guess would have been that TSI would not work, as mentioned in an earlier post on this same thread. It varies by less than 0.5%. This is why, when we refer to extraterrestrial radiation, we use the term ‘solar constant.’ However, there are others who seem to disagree with you. Perhaps, you could take a look and see if you agree with their methodology. I didn’t intend to suggest that the climate record is meaningful from one month of the record. I was just taking a bit of writer’s license to point out the fact that, at the moment, we have the panacaea of higher CO2 concentrations (photosynthesis, water and nitrogen-use efficiency) without much apparent warming. Maybe it’s La Nina… maybe it’s the sun. But I have only seen one climate paper in which these ideas are taken into account to predict temporary cooling and it wasn’t written until this spell had already begun. I’m just trying to stir things up and see if I can push a warmist climate scientist or two to look into the solar issue – there is some mechanism causing reasonably tight correlation between a myriad of solar effects and temperature at all time scales (less so from 1980-1998 perhaps due to greenhouse warming or repeated El Ninos or both) despite its lack of variability. I think we should be looking for this mechanism instead of pretending the trend doesn’t exist. I’m skeptical that Svensmark has figured out the mechanism, but look at the correlations. There is something to this and we should be putting some resources to trying to figure it out. At least someone is trying. Of course, most climate scientists write him off. Personally, I like Roger Pielke’s approach. He doesn’t deny the radiative forcing and climate change research, but acknowledges that models have failed in many ways and that there is much more to learn. No model predicted the current cooling temperatures before they occurred. Jeff Masters: Point taken. Thin, winter sea ice builds each year to almost the extent that it used to, but we have lost a lot of the permanent pack. This explains why Arctic sea ice deviations from normal are greater in the winter than in the summer. However, reporting on Arctic conditions all the time, with nary a mention of the fact that Antarctic concentrations are on the increase (so that global sea ice has barely budged downward) is also misleading. I mentioned this before, but go to the NSIDC and take a look at how much more easily accessible and emphasized the Arctic data are than those for the Antarctic. I think many of us subconsciously apply spin to our public dissemination of information, and it goes both ways. Eventually, you’ll find the Antarctic graphs and I’ll bet that a few of you would be very surprised. In fact, nuclear is none of those things. Nuclear power is not an answer to global warming at all, for the simple reason that nuclear power plants cannot be built quickly enough to have any impact on CO2 emissions from electricity generation within the time frame that those reductions are needed. Fortunately, there is no need for nuclear power. The USA has vast commercially exploitable wind and solar energy resources that are sufficient to produce several times the electricity that the entire country uses, with today’s mainstream wind and solar technology that is being deployed right now, today, all over the world. Multiple studies have found that a diversified portfolio of renewable energy sources, including onshore and offshore wind, concentrating solar thermal, solar photovoltaics, geothermal and biomass, can produce reliable 24×7 baseload power. And they can do this faster and cheaper than nuclear, with none of the very real risks or toxic pollution of the nuclear fuel cycle. There’s a response to that in the current issue. Regrettably paywalled; available with AIP $20 membership. Perhaps one of the authors will put a PDF copy on a website so people can read it — you’d need to read the piece and check the references for each statement to evaluate it; you know how to do that. # 2. M. E. Mann, R. S. Bradley, M. K. Hughes, Nature 392, 779 (1998) [INSPEC]; Geo. Res. Lett. 26, 759 (1999) [INSPEC]. # 4. C. Loehle, Energy Environ. 18, 1049 (2007). Mann et al. 1998, and an E’n’E paper. Hmmm. Check that out for the pro-renewable info, and you can follow links on the right for Jacobson’s original paper. Perhaps there is a lesson here? Most climate Scientists failed to correct the thousands of overblown “heat waves and hurricanes!” stories and naively alarming tone and half truths in the film “An Inconvenient Truth”. The scientific truth is far more nuanced and less alarmist than journalists were suggesting. They were not corrected then, and are now (wrongly) suspicious of the mostly irrefutable evidence that GW is here to stay. We reap skepticism when we sow alarmism. > fully understand and it’s very dangerous. A good example of that: burning coal for heat. Look where that’s led to, eh? It’s perhaps _the_ single best argument for the precautionary principle, though there are many others. CFCs, lead, mercury. Fortunately the easy simple steps to reducing the problem of CO2 acidifying the ocean are economically smart ones. Wrong. In fact, the scientific truth is far more stark and alarming than most mainstream journalists have acknowledged, partly because most mainstream journalists — e.g. Mr. Dobbs — have been too busy bending over backwards to give “fair and balanced” coverage to the pseudoscience promulgated by denialist cranks and frauds. Anyone who is not alarmed by the scientific facts about anthropogenic global warming is ill-informed about the science. And scientists who fail to communicate the alarming reality of anthropogenic global warming are doing the public a great disservice. On the contrary, the more I learn of the science, the more alarming I find it to be. Joe Duck, how much SLR is expected by 2100? #107 (EL): I agree that some people are not looking at the topic coolly and dispassionately, but on the other hand there are many (many more I would say) who are doing so, and further, that the impassioned rhetoric, far and away, comes mostly from non-scientists. (This is not to say that impassioned rhetoric is necessarily wrong, given the importance of the issue, but it’s not how most scientists discuss the topic, nor to say that there are not non-scientists who are indeed looking at the issue dispassionately–there are many). You state: “The point is, models are subject to change unless proven to be true”. Models are subject to change because they are always approximations of the system, and since empirical knowledge of the system they model is usually increasing, models change so as to provide the best synthetic and theoretic explanation of the multitude of existing observations of it. In a highly complex system, it does not help to think of a model as being “true” or not, without first having stated what aspects of reality you are attempting to describe/explain/integrate with the model (thus George Box’s famous statement, “Essentially, all models are wrong, but some are useful”). I find that there is a great deal of confusion and misunderstanding regarding the intent and usefulness of models in climatology and ecology, and we need to do a better job explaining this. On the flip side, the non-scientist needs to understand that there are a whole slew of methods and approaches that scientists use for reasons that may not be immediately obvious. The only way to discern the good from the less good is the slow process of self-education. Fortunately there is a LOT of good info out there for those who really want to do so, but it still requires a lot of work. Or have I missed your point entirely? What SecularAnimist (141) and Maya (142) just wrote. It is very sad to me to see this blog has only 18,000 readers per month from this website, http://rankexploits.com/musings/2009/you-cant-make-this-stuff-up . What you write is very important to understand for the climate science and for the policy makers. Can you do something to have more readers? Even Hansen believes you have to build nuclear to supply the US power needs while alternatives are developed. Nooo, scientists corrected these stories right and left…from their perspective of avoiding false positives. They clearly pointed out time & again that you cannot attribute single events, such as Hurricane Katrina, to GW, as GW is at the statistical aggregate level (no more than you can prove the die is loaded just because you got a 6 on one throw). However, as laypersons concerned with life and limb on planet earth, we should be taking the opposite position & be in true debate with scientists. That is, we should be striving to avoid the false negative of ignoring a problem when it is actually happening, and pose this challenge: can anyone prove at .05 that GW did NOT contribute to Hurricane Katrina — and if not then we should continue to mitigate & reduce our GHGs down 75% or more until and unless it can be proved GW didn’t enhance Katrina, tho since GW is contributing to so many other horrendous problems, we just shouldn’t stop mitigating no matter what scientists say re they can’t prove GW enhanced a particular event. Or, we should be thinking, well, if GW didn’t contribute to Katrina, wonder what are the hurricanes will be like once GW really kicks in? You’d think these would be the approaches of sensible, prudent people. So….are people crazy or something? “..No model predicted the current cooling temperatures before they occurred. Are you saying that no model could predict the cooling trend (presumably because they do not have such specificity of result), that any result within a range of probability for all models is “predicted”, or that a specific model did predict the cooling trend? Hansen is an expert on climate science. He is not an expert on energy technology issues. I believe that his support for nuclear power as an effective way reduce CO2 emissions within the very short time frame that Hansen himself has set forth is misinformed. The same is true of James Lovelock, who has expressed similar support for nuclear power: I believe that Lovelock has a profound appreciation of the interconnected, interdependent nature of the Earth’s biosphere as a living system, and thus a better appreciation of the potentially devastating synergistic effects of global warming than many other scientist do. But Lovelock, like Hansen, is misinformed about energy technologies and his support for nuclear power is naive and misguided. For expertise on energy I am more inclined to look to someone like Amory Lovins than Hansen or Lovelock. But there is no need to even build those nuclear power plants, because within the ten years it will take to build them and bring them online, we can be producing all the electricity we need from wind, solar, geothermal and biomass. By the time even a single new nuclear power plant comes online in the USA, the rapid advance of wind and solar will make it obsolete and unprofitable. And that’s exactly why private capital won’t touch nuclear power, and is instead pouring into the new energy technologies of the 21st century, wind and solar.